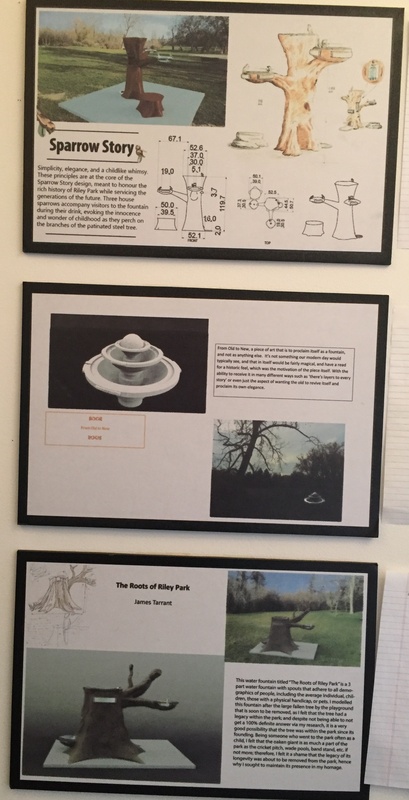 27 student designers (19 from Alberta College of Art + Design‘s first year Object Design class and eight from Southern Alberta Institute of Technology‘s Capstone Projects) were challenged to design an artistic drinking fountain for Riley Park. 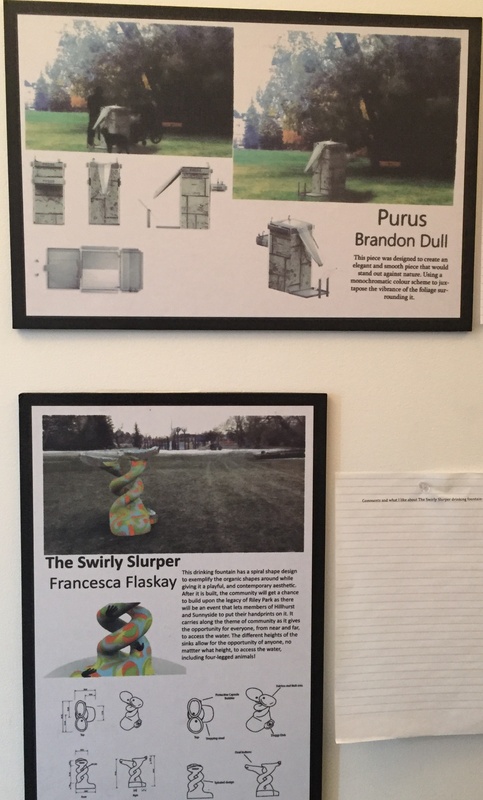 One design will be chosen for installation near Riley Park’s popular children’s playground. On April 7, 2016, all 21 designs debut together. Please contribute to our beautiful drinking fountain project through the Parks Foundation and specify your support is for Water for Riley. Riley Park’s nine hectares boast a cricket pitch, playground, wading pool, wooded areas, gorgeous memorial gardens, and open areas for rest, sports and picnics. Riley Park encourages activities for children. Yet Riley Park lacks facilities, such as drinking water. As an historic jewel among Calgary’s parks, Riley Park deserves an artistic drinking fountain. The volunteer committee believes success comes from community and builds community. Health: Thirsty visitors must leave, or bring bottled, sweet, or caffeinated drinks. Safe, sustainably delivered water on site shows a caring, welcoming community. Environment: Discarded disposable cups and bottles litter the trash, bushes, and fence line. It’s an unsustainable waste of resources when a fountain would refill reusable containers. Community building: This project brings together the park’s neighbours for the first time in a century. The Hillhurst/Sunnyside Community Association, Hillhurst School, This Is My City Art Society, City of Calgary, local businesses and residents are involved. 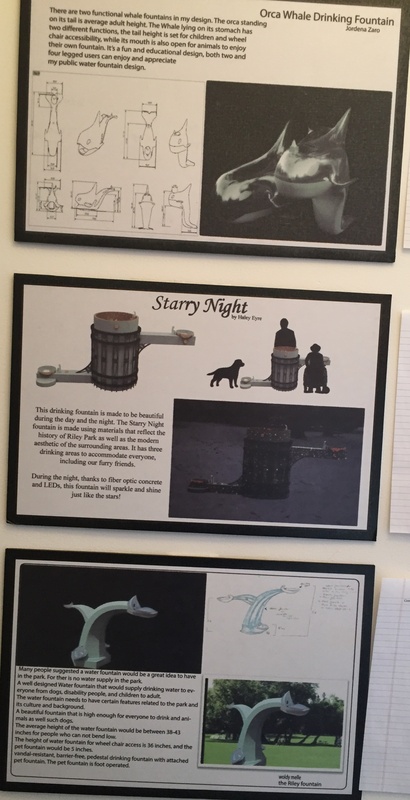 ACAD and SAIT students experienced a design challenge the Calgary Foundation funded. Economic well-being: Attractions attract. The Kensington businesses work hard to make our community a visitors’ destination. An artistic drinking fountain supports that goal. the thrill of beautiful design instead of a concrete block public drinking fountain.